Recently, my script came up in reply to an article on diversity in black film on The Black Board. Here is part of my response with other diversity in film stuff added. I think the real reason for the difficulty getting black movies made is a lot simpler and a lot more complicated. Studies show that too often people classify their fellow humans as something so separate from themselves they have trouble empathizing with them. It took this study for me to understand why white friends would say they don’t consider me as black. That has always hurt me. I never understood why I couldn’t be myself to be their friend. The article Brain Research Shows White People Lack Empathy for Brown People and the even more relevant Why White People Don’t Like Black Movies. explains this concept of the racial empathy divide in more detail. This is one of the main reasons that White males are the default as a story’s protagonist. We have all been trained to see things from the White male perspective from a very young age. In many places around the world, we are still taught that he is the penultimate human being. It hurts my soul when I hear people of color praising or lamenting the shade of their skin. It is easy for whites to accept films on racism. We all know where they belong in these films. They are the bad guy and also the savior. Black people would not be oppressed without whites and would not escape this oppression if not for the one exceptional, kind white person. This gives white people an entrance to the story, someone to empathize with. 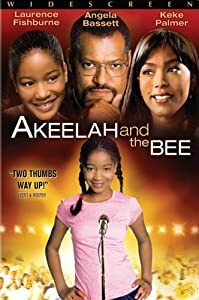 Where does that emotional connection begin in a film like Akeelah and the Bee? At the Austin Film Festival this year I saw one of the best movies I’ve seen in a while, The Little Tin Man. I had no intention of seeing this great movie. Why? Because it had a little person and it said it was a comedy. I have been trained that all comedies with little people are of the dumb guy variety. The little person will be flung around and/or treated like he’s (it always seems to be a he) a prop. Many people love the Mini Mes and Jackasses of the world but I hate these gags. Maybe part of the reason people who don’t have this empathy problem still don’t go to black films is that they’ve been taught that if it’s not historical it’s all stupid race jokes, bad writing, and melodrama. We have to make more of all kinds of films so the movie going audience can be open to seeing something that will surprise them that was made with people who will amaze them.